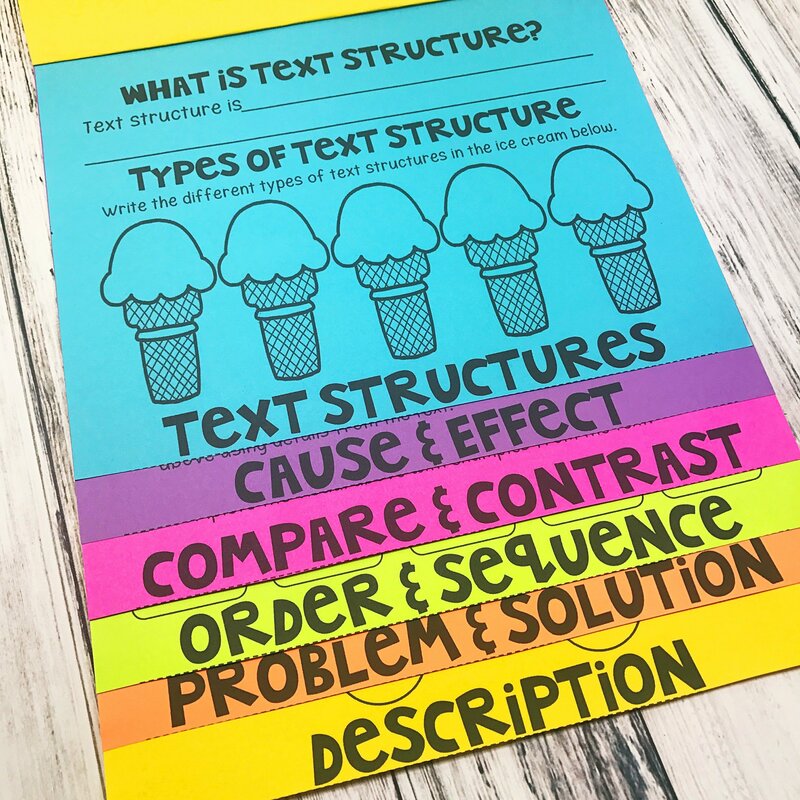 Text structures are important for students to learn to help them understand informational passages or nonfiction text better. 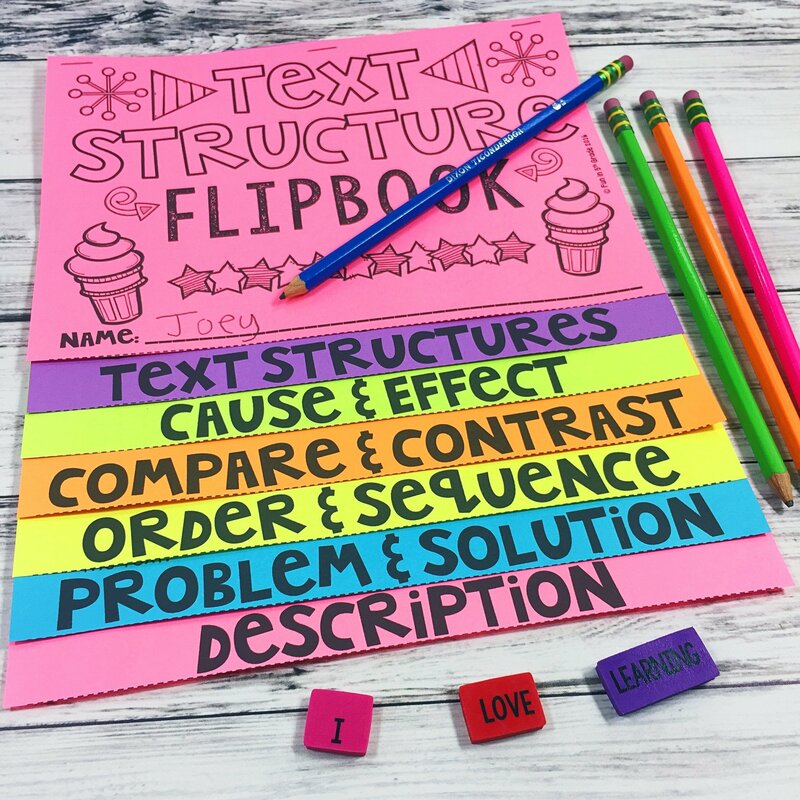 This flipbook with activities will help you introduce the different types of text structures to your students. It comes with an introductory page and then a page for each of the text structures. 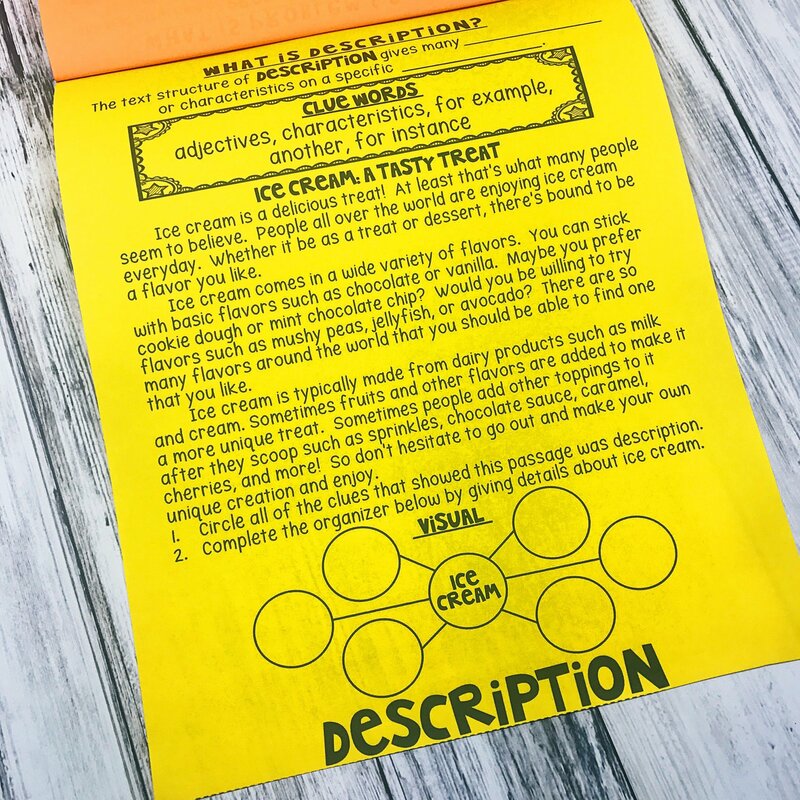 Each text structure page includes a place for a definition, gives clues word, a visual, and even an example text! 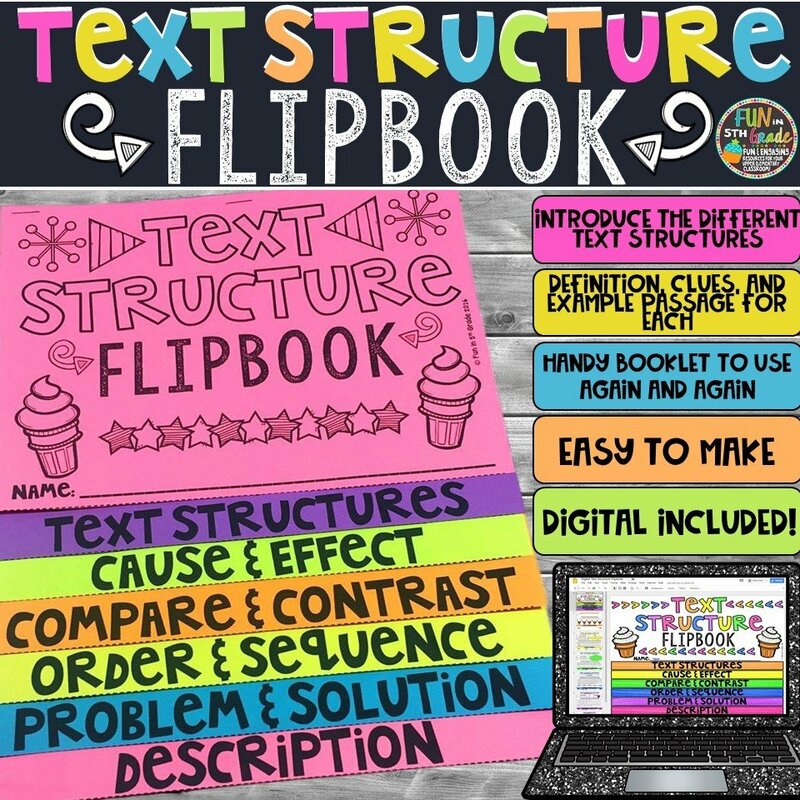 ★All of the texts are on one topic so students can really focus on the structure of the text! ✔ 7 Page Printable PDF Flipbook: Just print and go! Easy to put together! 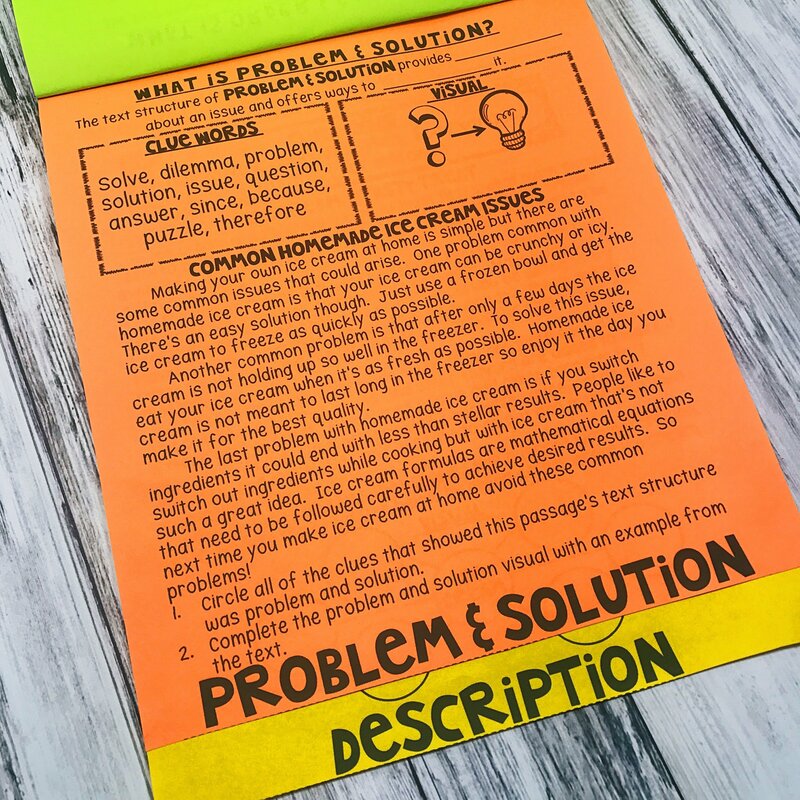 Please, if you have any issues or problems after purchase, I have included my email to contact me so that I can help you get this FUN and ENGAGING activity started in your classroom! 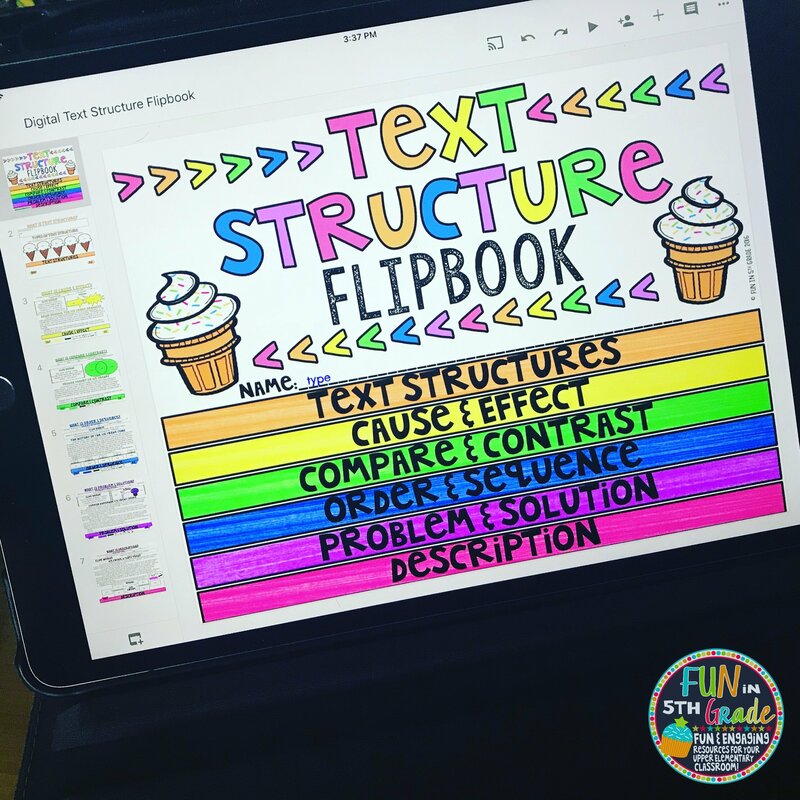 "I loved how the flipbook had an example text for each text structure and that they were all based around the same topic. It really helped students be able to see the differences between them!" 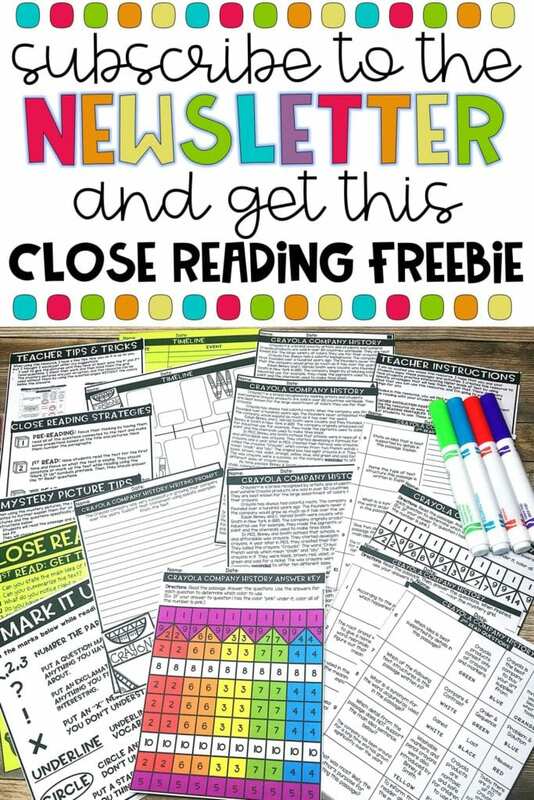 "This resource is a class FAVORITE! I love the activity on each page accompanying the teaching point. Thank you!" 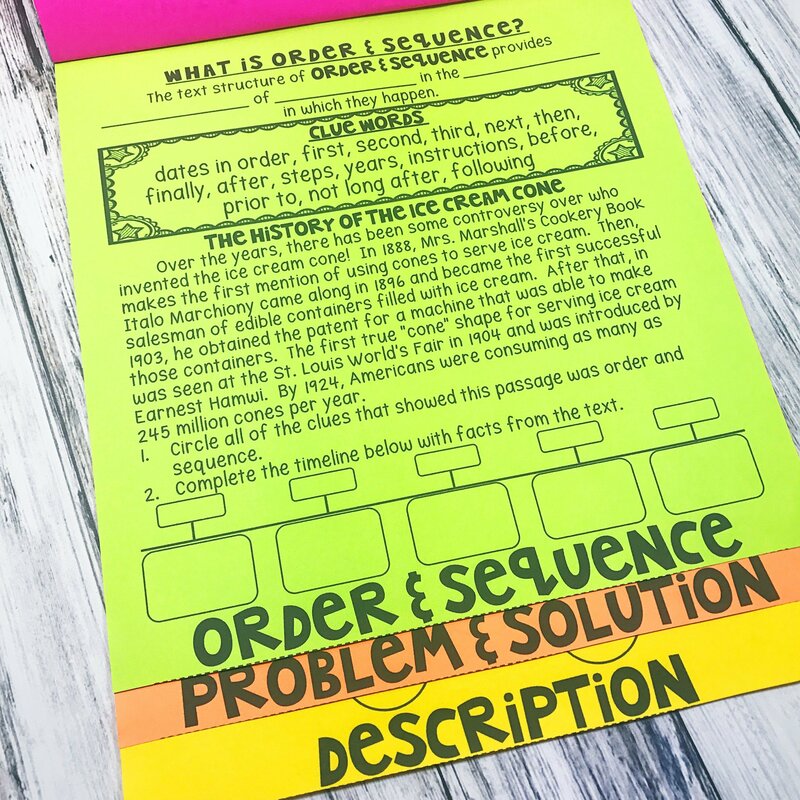 "Just used this today with my students and it was such a great way to introduce them to the idea of text structure. I love that they will be able to reference this now when we talk about text structure! Great product!" 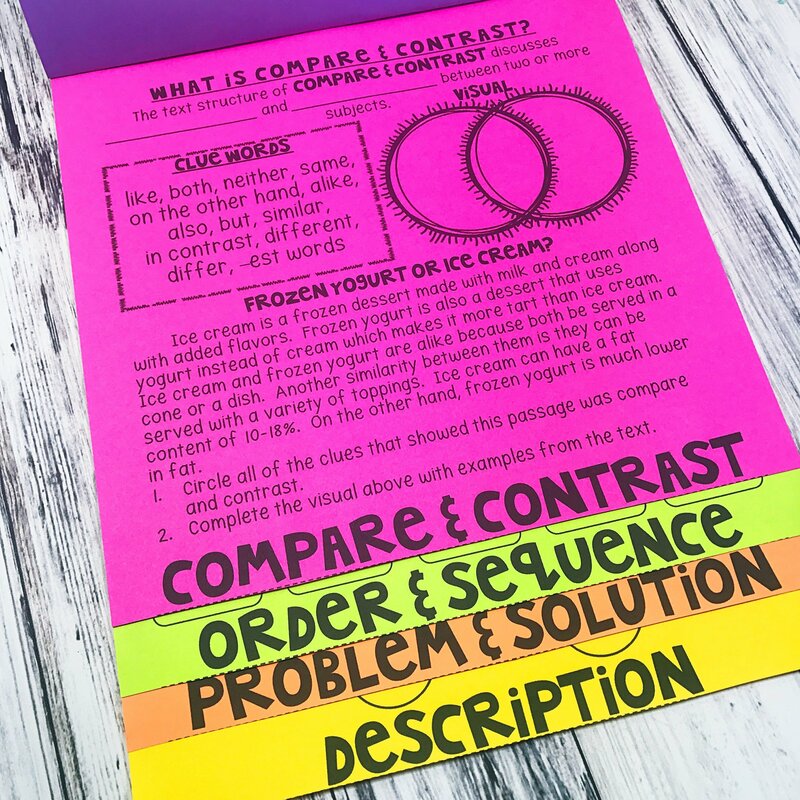 "Love, love, love this resource! It was the perfect introduction for my students! 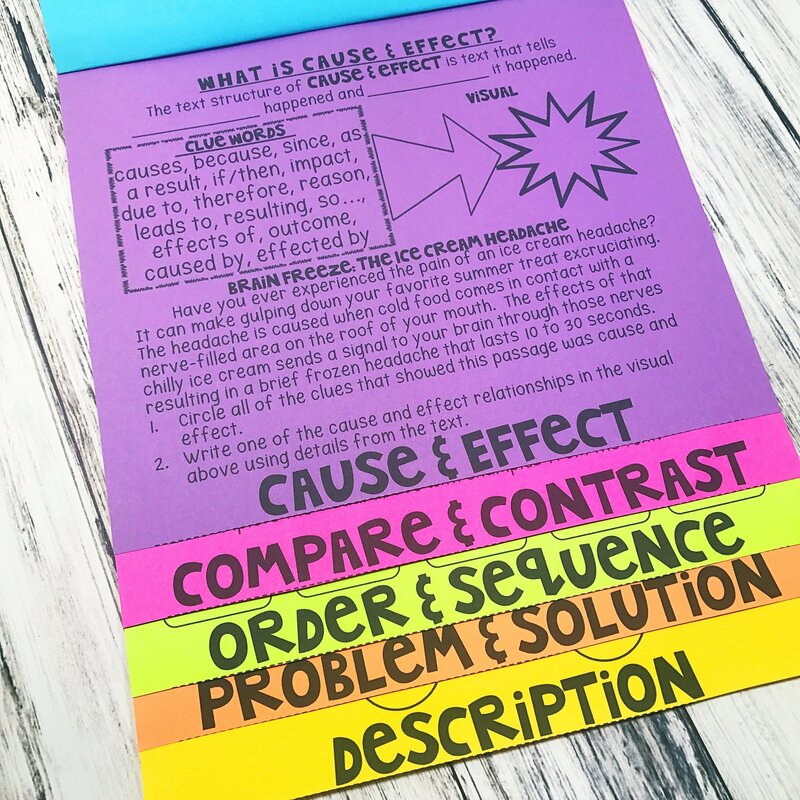 I really like the way you used the same topic for each structure to easily allow for students to see the differences. Perfect!"